Made in one of the most Northern towns in Sweden, just 250km from th Artic Circle, Karesuando knives are the culmination of generations of local experience of living off the land and with the Reindeer. The designs are well thought out and the quality of the materials is very high, giving a combination of ease of use and durability, the hallmarks of Outdoors experience. 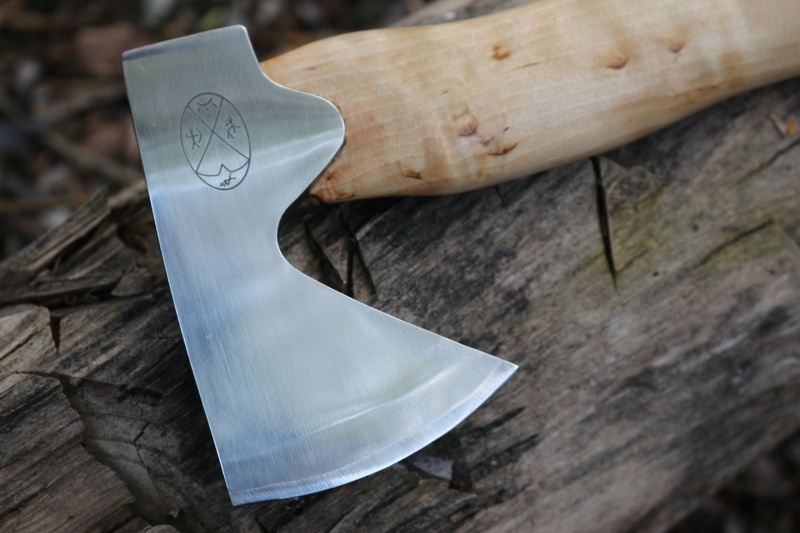 The axe is a great knife alternative, is superb at small camp tasks and is a joy to use. 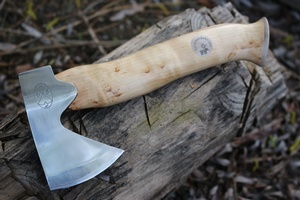 OAL 9inches, head weight approx 3/4 lb. Steel is Swedish stainless 55HRC. Cutting edge is 2 1/2 inches. handle is Curly Birch with Moose bone inlay and cap. 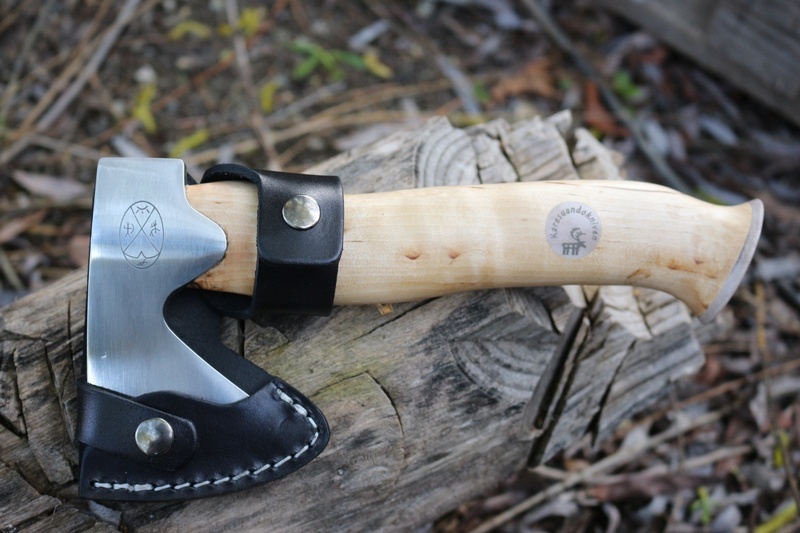 Comes with reindeer fur and leather head cover and small sharpener. Made in Sweden, in Karesuando. 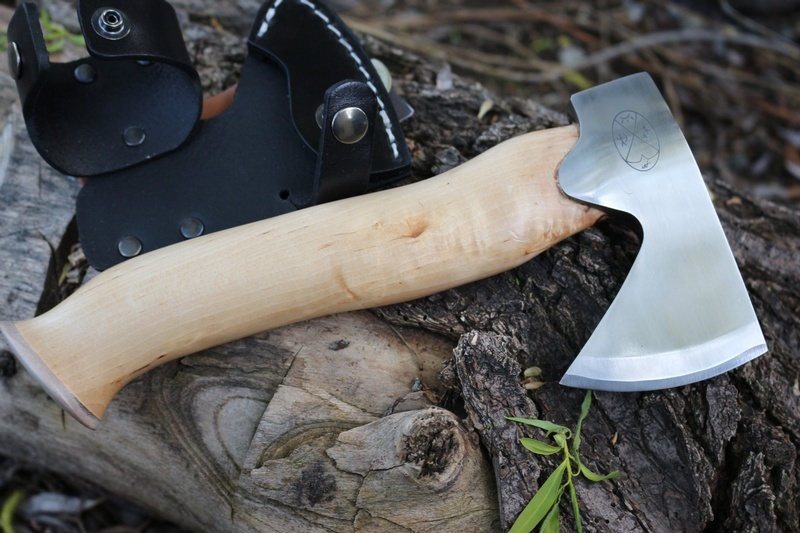 Purchase through PayPal by using the "Add To Cart" button above or use the form below to order the Karesuando Hunter Small Axe Natural . Feel free to contact us if you have any questions about the Karesuando Hunter Small Axe Natural .